Like in previous years the Dutch broadcaster AVROTROS has made an internal selection to choose the entry for Eurovision. Two times they have been very lucky with Anouk with “Birds” (9th place in Malmö) as well as The Common Linnets with “Calm After The Storm” (2nd place in Copenhagen). Last year’s entry “Walk Along” by Trijntje Oosterhuis did not pass the Semi Final in Vienna. 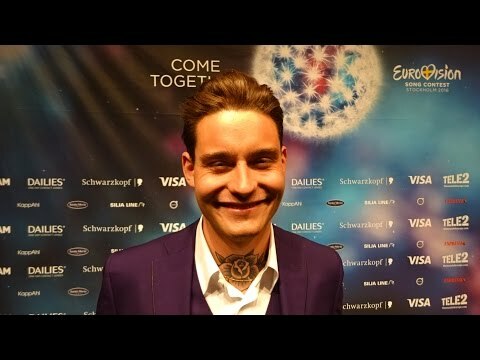 The lucky representative for the Netherlands this year is Douwe Bob. The singer has been announced quite early, while the song has been revealed quite lately. Douwe Bob is a 23 years old singer, born in Amsterdam 1992. In the age of six he started to play the piano. Classical music and jazz and the 1950’s to 1970 is his passion. Douwe became a songwriter who is now focused on folk and country music. He has released two albums “Born In A Storm” and “Pass It On”. He also sang a duet with Anouk called “Hold Me” which can be found on the second album. The song “Slow Down” is meant literally. As the society demands too much nowadays and there is too little time for too many things, and it is important to sit back and relax and to realize what is important in life. The song is uplifting and positive with a very nice chorus, a great memorable track. The song has been written in several countries like Portugal, Spain and Sweden. 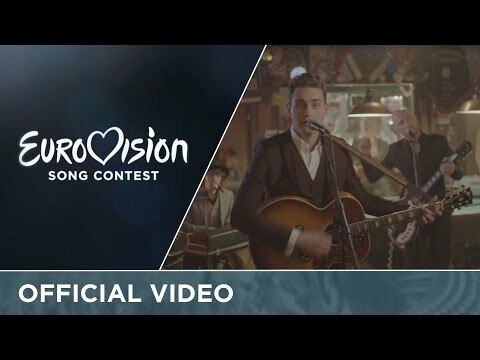 With this entry, the Netherlands step into the country styled songs from Anouk and The Common Linnets. This is a strong Dutch entry which deserves to be in the Grand Final in Stockholm. Over the years there were 26 Top10 places for the Netherlands that means that the chances to get a Top10 place in the Grand Final are approximately 45%, which is a relatively good chance. Since the introduction of the Semi Finals, the Netherlands struggled to qualify for the Grand Finals. In the past eleven years there were only three qualifications. Thanks to Anouk, the interest in the ESC has increased a lot in the Netherlands. She brought back the enthusiasm for the Eurovision Song Contest and made a respectable 9th place in the Grand Final in Malmö 2013. One year later The Common Linnets were able to top that and reached the phenomenal 2nd place with only 52 points gap behind Conchita Wurst from Austria, the Netherlands were very close to victory. Since then The Common Linnets started an international career and their songs are being played in all radio stations. Last year’s entry “Walk Along” sung by Trijntje Oosterhuis was a flop and did not qualify for the Grand Final in Vienna. Rumours said that it’s due to her dress.